In honor of National Scrapbooking Month, we’re sharing some exclusive scrapbooking tips from our Art Studio right here on the blog! 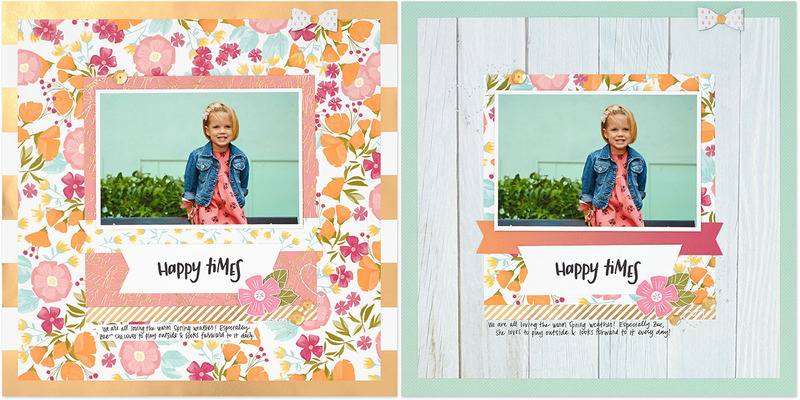 Last week we shared tips for balancing the colors on your scrapbook pages. Today we’re going to share some tips with you for mixing patterned papers together using, of course, our Happy Times paper packet, which is available for this month only. Whoopsie Daisy #1: Using all of your favorite patterns at once. Yes, these papers are beautiful, but when you use them all together on one page, your eyes don’t know where to look! You want to set a beautiful backdrop for your photos, but in this example, the photo gets lost amid a bunch of theatrics. Whoopsie Daisy #2: Choosing only patterned papers that perfectly match. Don’t be afraid to mix it up a little! Remember, your color scheme doesn’t have to perfectly coordinate—the individual components just have to go together. Blossom #1: Choosing one pattern to be the hero. On this page, the floral pattern is the hero. Every other paper supports this one pattern. Here’s a good rule of thumb: Choose one bold pattern, one or two medium patterns that support the bold pattern (pretty mellow patterns), and then choose papers with very subtle patterns or solid cardstock to round off your page. Here, the wooden pattern is our medium pattern and the mint paper is our very subtle pattern. Blossom #2: Choosing patterns that aren’t too matchy matchy. Remember, your papers don’t have to match perfectly, they just have to go! The mint color is perfect because it still goes with the hero paper, but it’s not the main color in the hero paper so it adds variety. We hope you found these tips to be helpful. 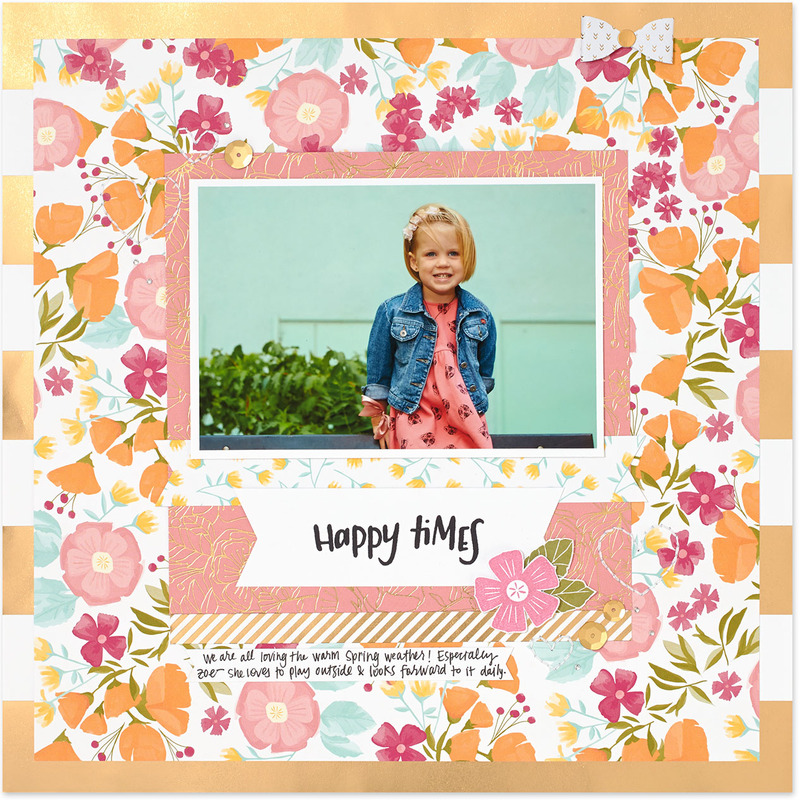 Stay tuned for more scrapbooking tips this month on the blog! Awesome blog post. Sometimes a page can just get too overwhelmed! Exactly. Thanks for the comment, Christie! We’re glad you liked the post!